Press TV- A senior lawmaker says the US is provoking Iran to leave the 2015 nuclear accord with world countries, but the Islamic Republic will not withdraw from the deal. “It’s a conspiracy of the Americans who want to pressure the people and the government to get out of the JCPOA and pay the cost of stopping it,” Hossein Naghavi Hosseini told Tasnim news agency on Saturday. 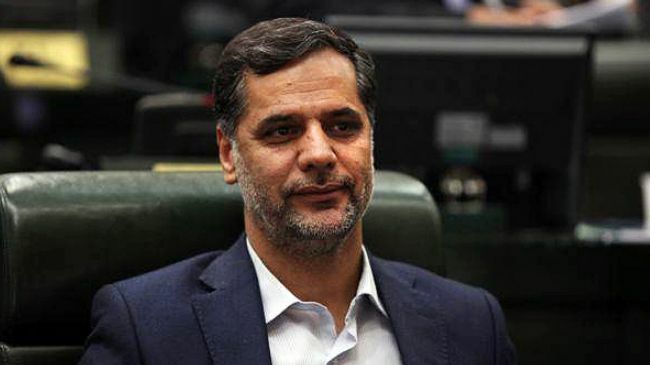 Naghavi Hosseini, who is the spokesman for the National Security and Foreign Policy Committee of Iran’s parliament, was referring to the Joint Comprehensive Plan of Action as the nuclear accord is known. On Thursday, the US Senate approved new sanctions against the Islamic Republic, which Iranian officials said violated the JCPOA. The US Department of the Treasury on Friday imposed more embargoes on Iranian companies after the country launched a satellite carrier rocket. Tensions have mounted between Washington and Tehran, which severed diplomatic ties after Iran’s 1979 Islamic Revolution, since President Donald Trump took office six months ago. “After the conclusion of the JCPOA, it was expected that the Americans would moderate their hostilities and enmities to some extent. “But you saw that not only did this not happen and the hostilities were not tempered, but they also intensified these hostilities, so that since the implementation of the JCPOA, the Americans have imposed new sanctions or breached their covenant and the accord for more than 17 times,” he said. On Friday, the New York Times said Trump was frustrated that his national security aides had not given him any options on how the United States could leave the Iran nuclear deal. The paper said the US president had instructed his aides to find a pretext for declaring that Iran was violating the terms of the accord. American officials, it said, have already told allies they should be prepared to join in reopening negotiations with Iran or expect that the United States may abandon the agreement, as it did the Paris climate accord. According to the NY Times, the US has begun raising with inspectors in Vienna the possibility of demanding access to military sites and if the Iranians balk, Washington could use it as a pretext to declare Tehran in violation. “The Islamic Republic of Iran will not only retreat in the face of threatening moves, but it will take harsher measures or proportionate with them,” he said on Saturday. The JCPOA is an agreement reached between Iran and the five members of the UN Security Council, namely the US, Russia, Britain, France and China, plus Germany. The lawmaker said a bill on “US adventurist and terrorist” moves in the region was passed on the Majlis floor on July 18, which designates US military forces and intelligence services as supporters of terrorist groups in the Middle East.